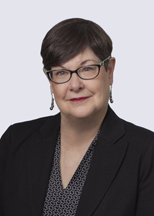 Margaret Greene is a real estate attorney who concentrates her practice exclusively on construction project planning and contracting and resolution of disputes during the construction phase. With more than 30 years of construction law experience, she has negotiated numerous design and construction contracts, understands the customary industry engineering and construction practices followed in the field, and possesses significant experience analyzing and resolving construction disputes and claims. Margaret is a Leadership in Energy and Environmental Design (LEED®) Accredited Professional with comprehensive knowledge of the LEED certification process and requirements.